I’d been on the hunt for the perfect shampoo and conditioner for curly hair. After my DevaCurl debacle, my friend Anna, who is a hair stylist, sent me the Pureology Curl Complete system. It was a serious game-changer. 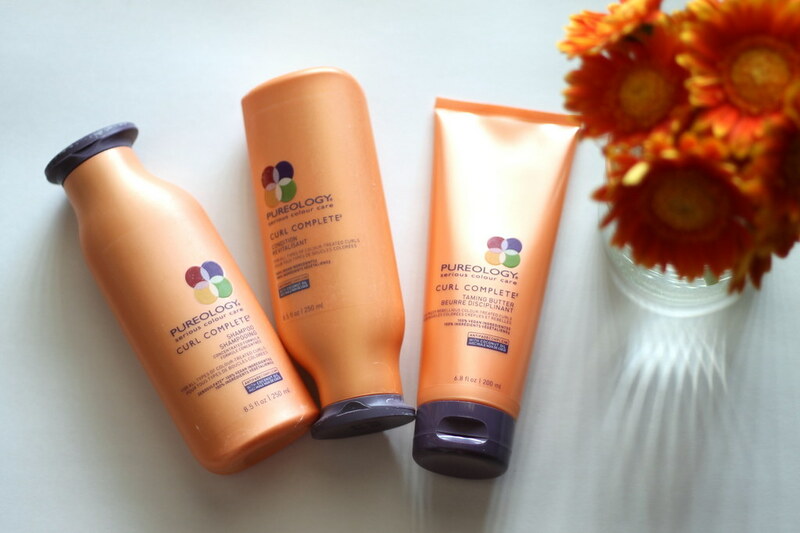 Not only is the system formulated for curly hair, but it’s also great for protecting any color-treated hair—great for me because I’m not a natural redhead! The Pureology Curl Complete system is a curly girl’s dream: it’s lightweight, moisturizing, and frizz-defying. A side note: Pureology is not cheap, but I’ve been using my system since Christmas, and I’ve barely made a dent. You need the tiniest bit of shampoo and conditioner (I’m talking a pea-size, maybe a bit more). A little goes a long way, and the longer I use the products, the more impressed I am.